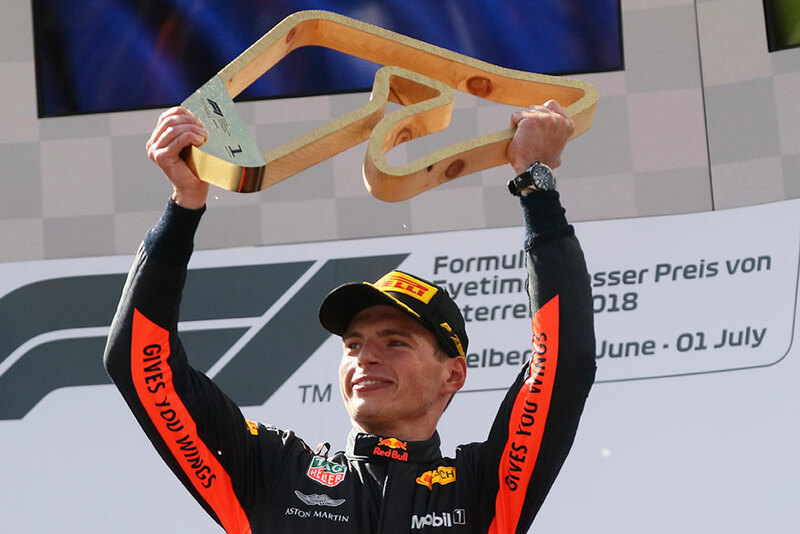 Spielberg, Austria: Red Bull driver Max Verstappen won the Austrian Grand Prix on Sunday as both Mercedes cars failed to finish. It was Verstappen’s first win of the season and fourth overall. Red Bull even seemed to be heading for a one-two finish on their “home” circuit with Daniel Ricciardo in second, but the Australian had to make a second pit stop after losing grip from his tires, before quitting the race on lap 55 with a gear box issue. Mercedes’ chief strategist, James Vowles, immediately apologised to Hamilton over the board radio for the mistake. Having started the season with back-to-back wins and adding another victory in Montreal, Vettel recovered well from suffering a second serious setback in as many weeks on Saturday. After bumping into Bottas after the start of the French GP last week — and restarting his race from the back of the pack — the mishap this time happened in qualifying, with Vettel picking up a three-place grid penalty for impeding Renault’s Carlos Sainz. At just over 4.3 kilometres, the track is the shortest on the F1 calendar. It features just nine turns and four long straights, with inclines of up to 12 per cent.